EA have 15 Frostbite engine games in development right now, and you’re bound to play some of them – one is Mirror’s Edge 2, for Pete’s sake. Sensibly, AMD have made a point to support them all through Mantle – a new API built to skip DirectX and whisper straight into the corrugated ear of your graphics card. And the first to benefit will be Battlefield 4, via an update planned for this December. Mantle makes use of a core renderer closer to that used in the PlayStation 4 – which AMD helped build – than DirectX11. AMD say it’ll visibly improve performance for a range of games, and Frostbite 3 titles like Battlefield 4 will be subject to an array of new low-level optimisations. Mantle offers support for multiple GPUs, as well as a variety of more commonly applicable CPU and GPU optimisations. 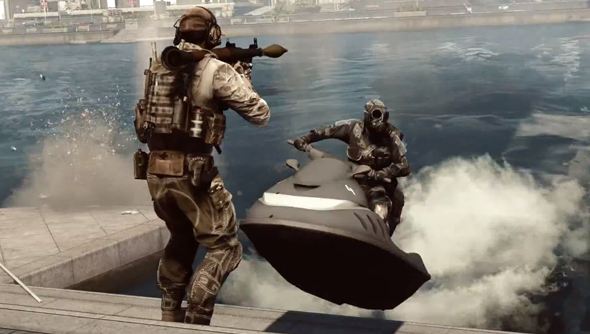 It’ll implement all of the rendering techniques used in Battlefield 4 – of which there are reportedly many. What’s more, future optimisations DICE and their sister studios make for the PlayStation 4 should also be transferable to Mantle-compatible PCs without too much trouble. In an unavoidably multiplatform world, that’s certainly something. Mantle’s hardly standard stuff – you’ll only find it in AMD’s Graphics Core Next tech, which at the moment means their 7000 series or the new Hawaii GPUs announced in September. Pricey pieces of kit. But if there’s one thing Battlefield 4 could use, apart from a silencer that doesn’t silence the whole map and low walls that don’t kill those that dare to hop over them, it’s better performance. DICE were hopeful for a “big improvement” to stability after this morning’s patch – have you noticed any of that yet?